Professor Dale Webber ascended to Campus Principal from the position of Pro Vice-Chancellor, Graduate Studies and Research. As Pro Vice-Chancellor for Graduate Studies and Research, Professor Webber mobilised staff and students across all four campuses to develop eight multi-campus research clusters. This has resulted in four successful international grant applications, as well as a US$25 million research monitoring Memorandum of Understanding between the University and the Government of Montserrat. He has also secured the establishment of posts of Directors of Graduate Studies and Research at the Cave Hill, Mona and St Augustine campuses. 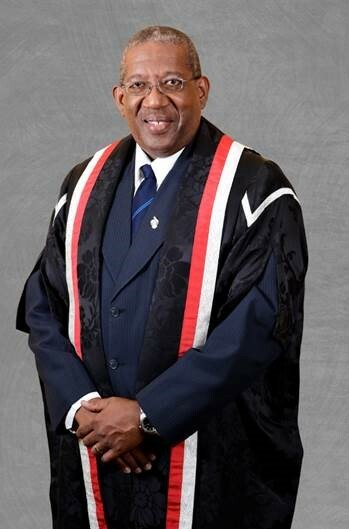 Professor Webber has had a distinguished career in Coastal Ecology and Environmental Management and a strong and consistent record of teaching, graduate supervision, administration and research excellence which spans 30 years of service with The UWI.